Earlier this week I had a short but interesting mail exchange with Nick, owner of http://www.clockmaker.com.au/. 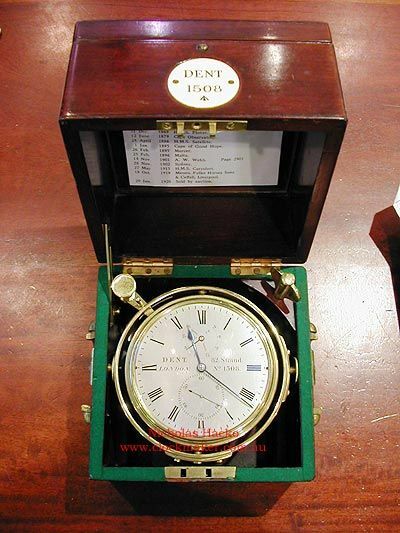 He pointed this article out on his website, regarding the Dent 1508 Ship Chronometer. For collectors with a passion for accuracy, ship chronometers might interest you! Dent No. 1508 Ships Chronometer, signed “Dent, 82 strand LONDON”. Purchased by Admiralty in March 1841. Used as navigation instrument on HMS ‘Virago’ – 1847, HMS ‘Plover’ – 1869, HMS ‘ Sattelite’ – 1886, HMS ‘Carysfort’. Serviced in 1879 Cape Observatory, 1895 Cape of Good Hope, 1895 by Mercer (famous Marine chronometer himself) , 1902 in Sydney, 1919 in Liverpool. Sold by auction in 1920. In private collection since 1983, first time offered for sale. The maker of this Ship chronometer, Edward John Dent (1790-1853), also was the maker of the great clock of the House of Parliament, known as the Big Ben. For the visitors of this blog who are not into Ship Chronometers, check out the restoration projects done by Nick on wrist watches. 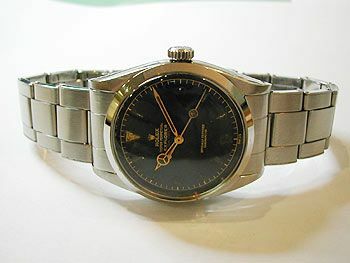 Here is an example of the restoration of a vintage Rolex Explorer:. The original dial (with gold print) and hands are kept and restored as good as possible. The bracelet has been repaired and refurbished as well. The case also has been refurbished as you can see. The caliber 1030 movement got a complete overhaul and is running within COSC specifications again. This project took about 12 hours in total. Amazing. Give him a visit at http://www.clockmaker.com.au.